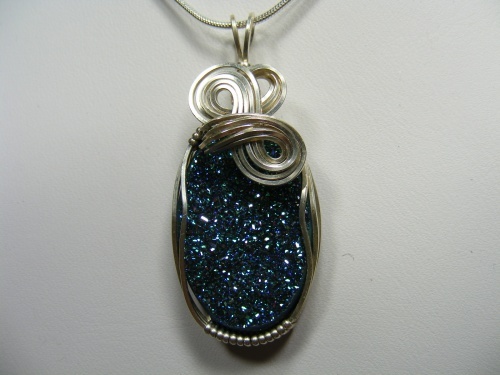 This gorgeous titanium druzy is so, so sparkly but not gawdy. My pictures do not do this piece justice as it is amazing. Embelished with sterling silver bow like design, this is truly one of a kind. Measures 1 3/4" by 3/4" and comes with a sterling silver chain.